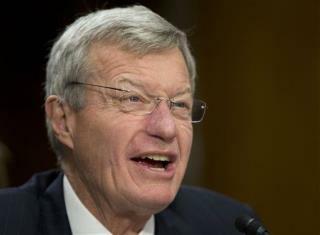 (Newser) – Retiring Sen. Max Baucus said all things you'd expect him to say during his Senate confirmation hearing to be the next ambassador to China—he talked of trade, computer breaches, human rights, and "important bilateral relationships," reports Bloomberg. But he also said one thing you most definitely would not expect him to say in that particular setting, notes Mediaite. Namely, "I'm no real expert on China." bo does it again! fubo fubar!